Who doesn’t want to Glow & Shine? It’s what most (human) shampoo adverts are all about, but we’re talking about glow and shine that comes from within…and that’s exactly what our Glow & Shine help with! Let’s start with the supplement version of Glow & Shine. This is made using micronised linseed and is rich in omega 3 and 6 oils. In addition to this, it also contains added calcium, phosphorus, magnesium, zinc, fenugreek, lysine and seaweed…so it’s more than ‘just’ an omega oil supplement. Glow & Shine can be fed at any time of the year to help add or maintain condition, encourage a shiny coat and promote good health. It can be used for shy feeders and older horses too. To find out more, see the website. 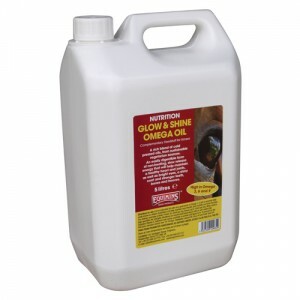 Glow & Shine Omega Oil combines linseed oil with soya oil and rapeseed oil, creating an easy to feed liquid supplement that’s rich in omega 3, 6 and 9. This oil provides an easy to digest form of non-heating, slow release energy. It can be used to improve or maintain condition and is a great addition to a fibre diet when used with a high specification feed balancer like Advance. In addition, it helps to support healthy heart, joints, eyes, coat, teeth, bones and hooves. To find out more, see the website. 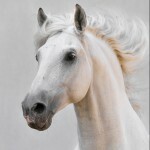 Both supplements can help your horse to ‘glow’ from the inside out and are very economical to feed. If you can’t decide which is best for you or you want to find out more, just visit our website or contact us and we’ll be more than happy to help you.